“Self-confidence is the foundation of all great success and achievement.” My name is Sylvia Alobuia, and this quote by Brian Tracy is one I have held dear to my heart since my family and I relocated to the United States in 2008. 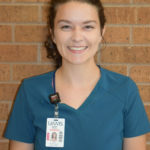 For as far as I can remember, I have been exceptionally eager to learn more about the health care field; however, I decided to pursue my career in dentalhygiene after discovering my passion for helping others acquire more confidence. 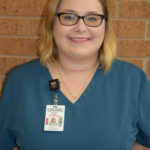 Prior to moving to the United States, I had no knowledge of what a dental hygienist truly was or what their line of work consisted of until I enrolled in the dental hygiene program in the UAMS College of Health Professions. Growing up in a developing country like Ghana, West Africa where proper oral care was practically nonexistent taught me to take advantage of every opportunity presented to me. My parents, Nelson and Olivia Tay Alobuia, have played an enormous role in who I am today by teaching me to always put God first and to persevere. My siblings have had the biggest influence on my career by showing me that where we came from does not define who we are, but hard work and dedication can land us wherever we desire. When I am not spending time with family, I am surrounded by ambitious and God-fearing friends who are supportive and motivate me to be the best version of myself. Having opportunities to participate in local community services like the UAMS 12th St. Health & Wellness Center, Special Olympics, and oral health screenings is something I admire about this program. 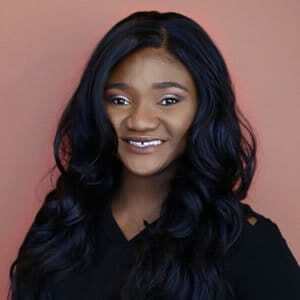 After obtaining my Bachelor’s degree in Dental Hygiene in May of 2018, I hope to dedicate my time to provide exceptional care to my patients while gathering new ways to provide affordable care for those in under-served countries like Ghana. To future students who are interested in pursuing a career in dental hygiene, I would advise that you also put God first and persevere. Dental hygiene is challenging, yet rewarding; consequently, when I face challenges, praying helps keep my fears from getting bigger than my faith. In this program, you will learn that in addition to performing prophylaxis and taking radiographs, we, as dental care professionals, play a vital role in another crucial way. By conducting a thorough head and neck cancer screening, utilizing preventative services such as fluoride and sealants and providing nutritional counseling, we will in turn improve other aspects of our patients’ lives. Amid it all, have fun, you will establish meaningful friendships with people who will become your lifelong friends beyond graduation. Always work hard and demonstrate compassion; success is in your reach.